The Most Visible Ball in Golf? 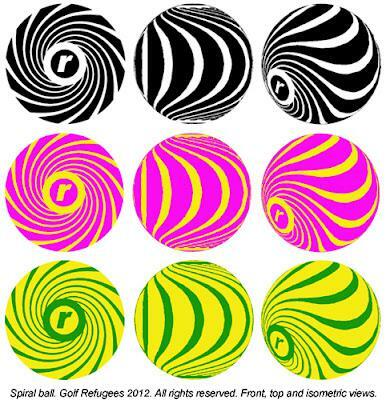 Spiral ball by Golf Refugees, coming soon. Front, top and isometric views. It will be the most visible ball in golf. Why play with a plain golf ball?